Although these barriers are real, they are not insurmountable. 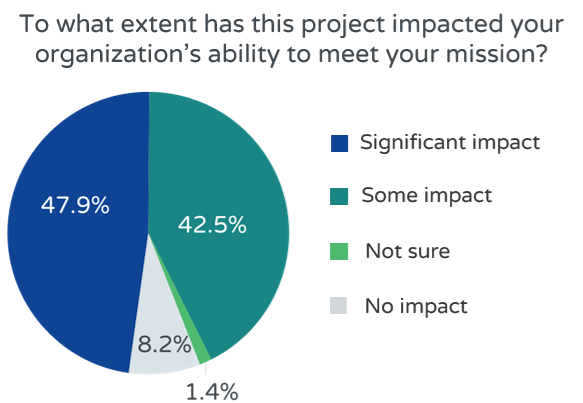 As skills-based volunteers become more readily available to nonprofits, we at Common Impact want to ensure that we’re sharing the key elements of sustained impact that we’ve gathered over our years as SBV practitioners. Over the next few weeks, we'll be releasing our tried and true best practices in a comprehensive toolkit to help lift all nonprofits who are considering using SBV as a resource over these barriers in order to create long-term, transformational impact for their organizations. Stay tuned for the release of our Nonprofit Skills-Based Volunteering Toolkit in the next few weeks! Check out the full results from our long-term impact study in our infographic! Interested in learning how your organization or company can measure social impact? Join us in November at Sustainable Brands New Metrics to hear thought leaders share the newest tools & solutions to measure new forms of business value!